A 16-year-old teen, described as a "family friend," is accused of killing a five-year-old girl left in his care. Police say his friend helped dispose of the body. WGRZ's Claudine Ewing reports from New York. NIAGARA FALLS, N.Y. -- Two teenagers charged in connection with the death of a five-year-old New York girl whose body was dumped in a trash can were expected to make their first court appearance since their arrests. 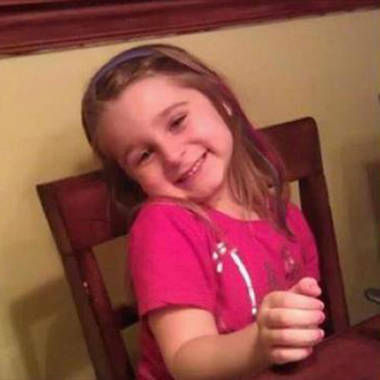 Five-year-old Isabella Tennant was found dead after going missing from her home in Niagara Falls, N.Y. Authorities said 16-year-old John Freeman and 18-year-old Tyler Best were scheduled to be arraigned Tuesday morning in Niagara Falls City Court. An autopsy of the body of Isabella Tennant was also scheduled. The arrests came after Best went to police Monday morning and led them to a garbage can containing a trash bag holding Isabella's body. Best told them he had helped the younger teen dispose of the body after Freeman killed her, police said. Isabella's family called police Monday morning to say she was missing from her great-grandmother's Niagara Falls home, where she'd been staying overnight. “The great grandmother, Sharon Lascelle, said she went to bed just after 11:00 p.m. and Isabella was playing with" the 16-year-old, according to a press release issued to NBC station WGRZ by the Niagara Falls Police Department. “At this time we believe Freeman killed Isabella with his bare hands (no weapons involved) and that Best was only involved after she was deceased and assisted with moving her remains,” it said. Freeman "was described by family members of the victim as a ‘close’ and ‘trusted’ family friend. They also said it was also not uncommon for him to be in the home and around Isabella unsupervised. Best and Freeman are described as close friends,” it added. Police charged Freeman as an adult with second-degree murder. Best is charged with tampering with evidence. Best and Freeman were in custody and couldn't be reached for comment. At a news conference Monday afternoon, Niagara Falls Chief Detective William Thompson said there were signs of injuries but no indication of sexual abuse. "It's a terrible crime. It tears at your heart," Thompson said. Of Best going to police, Thompson said, "I imagine it was his conscience."